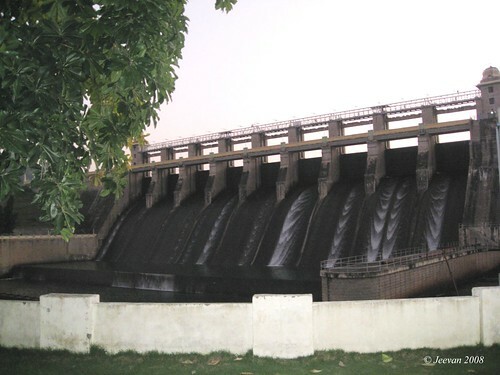 Amaravathi is a part of Indira Gandhi Wildlife Sanctuary and National Park, and there was a dam build across the river Amaravathi. It’s the last unplanned destination in my Valparai vacation last December and it happened to be an evening visit for us. 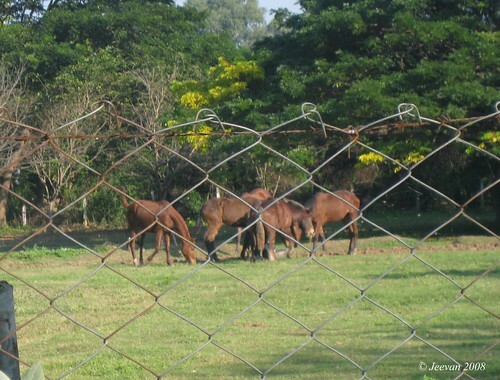 Something like ever seen horses, viewed those gathered inside Sainik school campus before reaching amaravathi Dam, and the sun was glowing conclude when we were seeking a forest ranger whom we suppose to meet for guidance. After a quick move in and out, we found him at his office and he took us around. 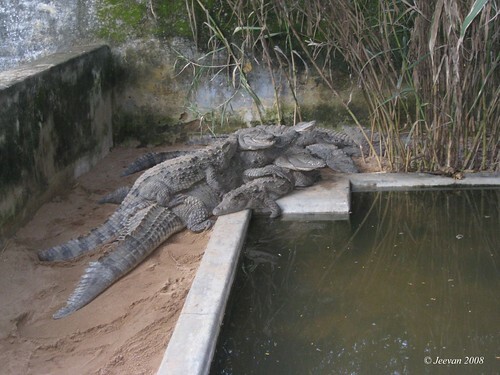 First we visited the crocodile bank near the dam, and those are the crocodiles caught at the reservoir and those are belonging to muggers, which won’t found everywhere. 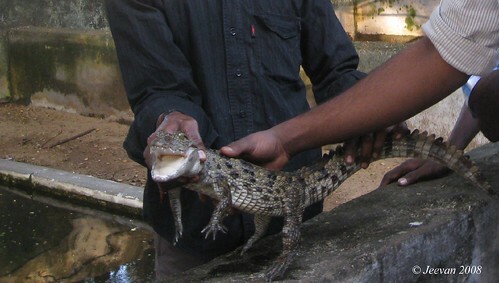 He asks someone in the park to catch a medium size crocodile to carry in hand and it was something our family members unexpected and felt excite about touching the crocodile. It would be an unforgettable experience and more than enough he takes us a drive inside the forest. Where we spotted, spotted deers, peacocks sitting on a fencing which separates fields and forest, two wild boars standing far away showing its back, and a big horn deer just hide around in glance looking at our vehicle, which looked like a bull. As it was turning dark and we were in hurry visiting dam, we missed an opportunity seeing an elephant in just few minutes, but it surprised later everyone knowing what the ranger sensed about elephant’s movement at near was very exact! The dam was very steep to climb, so he took our family at either easy way, but I can’t follow as the road lead to dam top was locked with no keys, and later I felt distress seeing the pictures, what a fantastic view I have missed. 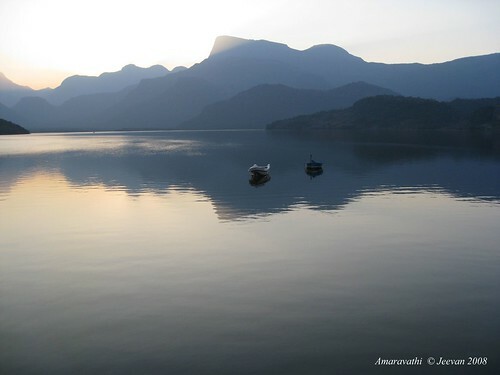 The picture showed me the beauty and serenity of amaravathi, which I love to share here. There one can view the plains that belong to Annamalai and Palani Hills. 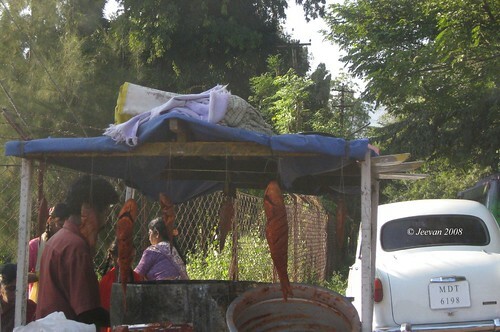 Fishing is one important thing in the dam; where there are some mobile shops outside dam making spice fish fries which our driver had, but it clearly signed me unsanitary. The ranger said he was one of a person worked in the special task force organized to catch late sandalwood smuggler Veerappan. Whether it’s the reason or not, he had a mustache like the brigand veerappan and his name also ends with ‘pan’! He was very friendly even before knowing clearly about who guide us to him and said to call him anytime if we are willing to visit any forest area to get a prior permission. Later we had some coffee with him and moved towards pollachi and reaching guest house by night, then to get ready to return home the next day. I will write about it at next post. Cease fire, the hunger drama ends. Or it’s a conducted drama knowing perhaps cease fire? 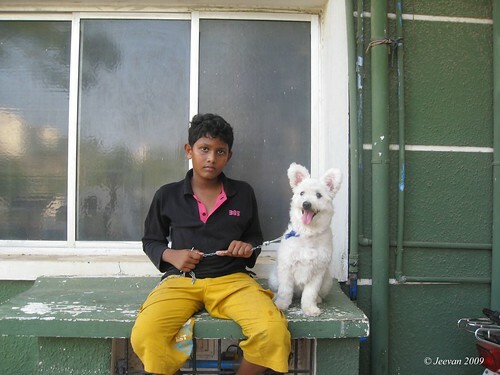 But anyhow the situation turns better is welcome in Sri Lanka. Everyone knows it’s a clear drama conducted by chief minister Karunanidhi going on hunger strike suddenly today morning, in seeking vote. I feel actors are no more before someone who can make a wonderful script, had taken into action himself. 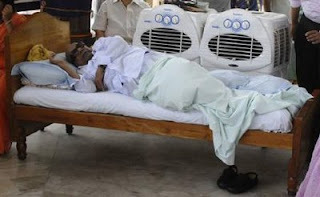 Man I was surprise, to wake to see him lying on the cot and the art family partaking in the drama. Late night only I read in a magazine about his recent life, but never thought he will go on hunger strike when the war was at its edge. I want to ask him, where have he gone these days (expect the days in hospital) when thousands of lives have been lost and what does his hunger strike and cease fire do now? Could it give them equal rights and guaranty to survive peace, will the killing stop forever and how well do we know there wasn’t firing? Don’t we have a sense and knowledge? The CM has to realize people aren’t fools always, we aware about the struggles going around the world in supporting ceasefire and his hunger strike alone haven’t stopped the war and we could have saved so many lives as earlier world united to rescue humans. From where came Tamils without being human, and I see the struggle in Sri Lanka as fight between army and terrorist, and I don’t know where the history begins. Being someone grown up learning Indian struggle, which got freedom by peace movements and non-violence created by Gandhi, something fighting with weapons doesn’t allow me to agree. Sincerely I neither wished the war ends by terrorists being caught or killed nor by dropping there weapons, but now it has been left smoking; without making it glow or switch off. Then again, whoever the culprits should be punished, but not a death sentence! Everyday I just hang like a monkey in our front gate and I have a reason to be like, because it was one simple exercise I do regularly by keeping my hands above holding the gate to maintain grip and movements by sitting on wheels. 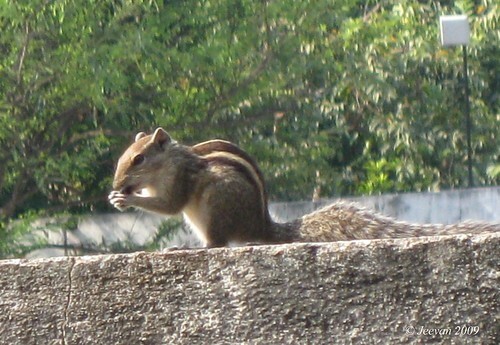 As I was hanging today morning, I find a little squirrel running here and there on the compound wall and I wished to keep watching its movement and so called dad to drop some grains on the wall. Then in minutes it returns and nibbled some grains by holding its tiny limbs closer, and I used this opportunity to click some snap and a video (check below). As early Maya was barking at finding the squirrel and thus driving it away, but glad it returns to give me this chance. The days go by obvious is a change is need and learning process that never ends; even I get nothing to think serious and enjoying with cousins. These guys never give me chance to be usual and just want me to share there space and time. As I love this move, I keep everything next to them and I know everyone have there business to do and it’s a brief occupation that comes occasionally. Being away in time spent on computer and reading, I balance a pleasure between us depend on there moods which don’t stay with a thing for long and get bored soon, and I ask often what can we do next. They are more fascinated on dogs; and even a Google could get tired but not there searching ends. Sometime I even want to scold them for been irritating me talking about dogs and the younger one was scare about dogs, but he talks much and goes on tears often clashing with his brother and he keeps a distance from Maya and uses the chance to hold her chain to make everyone know he is not fear, but it becomes illusion at next minute Maya behaves mischievous. One night we went to beach, wandered through chitchats after some long time, tasting something spice from a sea front shop. I was warned by dad, but goodness it does nothing to me. The southeast wind began to blow is an addition to the pleasure wanted me to spend the afternoon and nights outside home by playing cards, carom and extending our chat beyond the cool breeze. These guys often make fun by teasing each other, and i manage to make them calm, but yesterday it went beyond our control. It all begins the day game boy was brought and trouble starts by who plays it often. Both of them held each other and decide to apart, but none want to leave me, so either had went to granny’s place to come next day leaving me alone today. I do tell these guys made my days these days and helped in many way with my activities and exercise; and not alone for that I wish both of them return calm early. This short separation wants me to claim that, even I can’t understand some well known people and how far these teens and kids are. How often could I learn and examine the misery without experiencing it as positive? Sometimes I do feel the relationships haven’t come for me and not at interest, but I can’t deny there wasn’t love and care. For whatever the reason they wish to stay with me, I greet them always and came to a state in late that I won’t urge anyone to stay with me. We watched Slumdog Millionaire, and I do wonder what makes this film into Oscar, but there was something I view it tells the world, that practical experience teaches someone more and to see illiterate doesn’t less to anyone. There was something we amaze upon the areal view of dharavi. The childhood parts are funnier and felt how well they captured the face of India esp. the rag picking scene which still exist around our cities. I really loved the beginning and end, and I wish these types of movies comes more and more than fantasy, we need movies that capture the truth. What can we expect and enjoy in quality of sound and vision when watching it in local DVD! First he (mr.karunanidhi) isn’t clear about his mind and presence, and then how come we hear whatever he tells about true in illusion and confusion. How come he supports the one from a banned group, telling he is his good friend and others are terrorist? Does it have any logic? And if it’s so, why can’t he talk with his good friend and try to take action to stop war in seeking remedy? Seems like everyone began to blabber something to showcase there care on Tamils to seek vote on illusion. Whoever the culprits should be punished, but not a death sentence. I am against in any form there was loses of lives; obviously it’s the sense comes first being human. 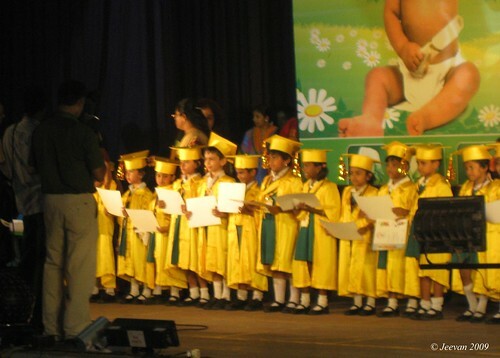 There was a rising trend between private schools, where honoring children with convocation. 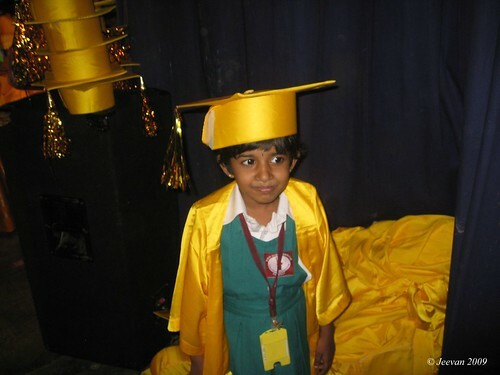 Two weeks back, my uncle’s daughter was conveyed by convocation to promote from UKG to 1st STD. I see it was a way of encouraging children to progress, but I guess they are almost unaware about this honor. The second pic shows my uncle’s daughter Harshavardhini been quite assume being honored. 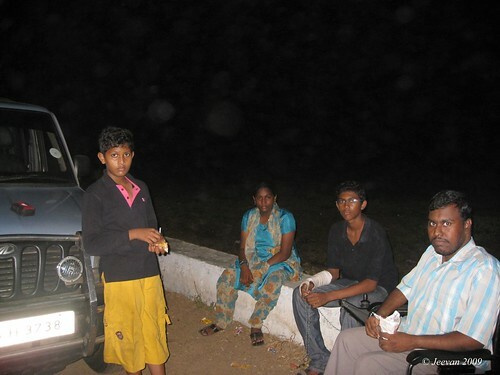 After spending the night in cuddalore, the next day our families wanted to visit a temple and so went. It was a temple lies in outskirt of cuddalore, is a quite residential area almost pertains to agraharam. I and cousins stayed within SUV to leave others to visit the temple, and the streets were obviously clean and homes were seemed belongs to traditional and every home have the symbol of sacred – Namam. 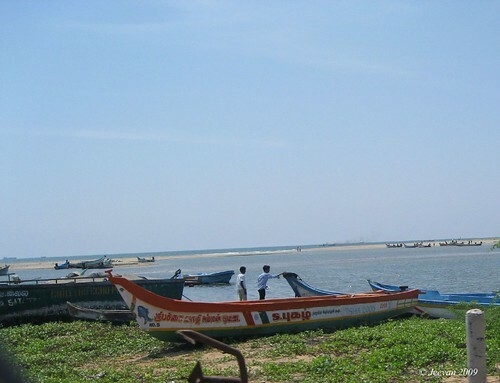 From there we left to Silver beach in cuddalore, and it was empty though leaving the sea to shine in blue to open sunny day, beside the quite nature made harbor in were fishing boats float is one surprise. After checking the chunnambar boat club, which is on our way from cuddalure before 8km from Pondicherry, is one wonderful place to take boat rides beside coconut groves and lagoons which would give a feel like moving around Alappuzha in Kerala. But we couldn’t get the change to explore the beauty again, because of inadequate boats that could not carry me with wheel chair. It was an unforgettable place and ride which I took some years back, was one more expected think in this travel. 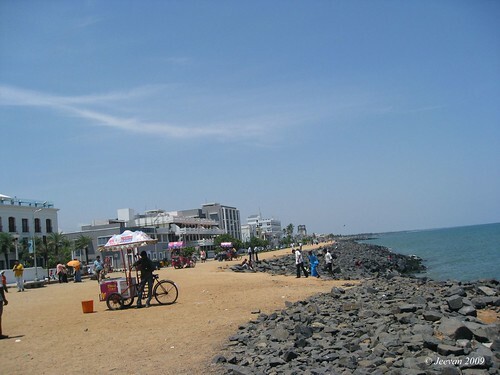 It was noon when we were at Pondicherry beach and would be the only people to wander around a hot sunny day. The beach seems empty though without waves to crush the dropped rocks on shore. More than viewing, it was my late turn memories gathered around the shore, the droplet of waves that sprinkle on my face and the night cold breeze to blow and a lost soul to remind, in peace like the silent waves. 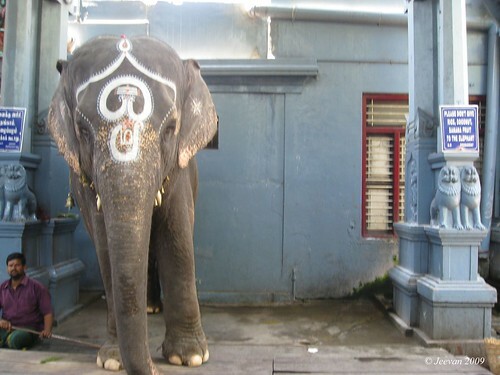 It was time aurobindo ashram was closed to reopen only by 4pm, and we have no time to wait and want to return home that evening, so we skipped and our families visited the Manakula Vinayagar Temple. After having lunch at one good restaurant and pay fine to police for entering a no entry avenue, we head to Mudaliar kuppam boat house. 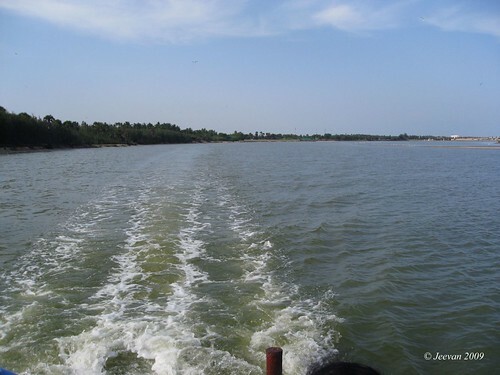 We had a wonderful journey across the backwater canal in Mudaliar kuppam, which exists one of my wish to have boat ride for sometime and there was a desire that still untouched to have a ride is on sea. This time I am able to move into boat with my wheels and I thank the people who develop this boat convenient to elders and disables. They take us about 2km into the backwater canal, where we saw birds swim around and fly at near distance in vibration of boats, and some guys were catching prawns by crawling and swimming aside we move. The times any boats come across us the movement seems exciting and I feel like everything moves around me and not that I proceed. We spent sometime on the boat house seeing those vary boats and some activities taken by guys on water scooter. 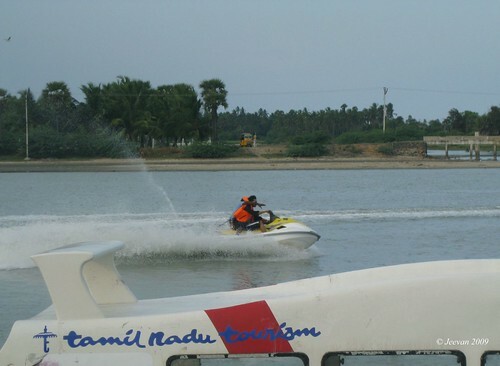 It was a boat house about 75km from Chennai is a pleasant place for a day trip on ECR. While returning, the evening seems wonderful with reflections of sun and fun trail with cousins. ps. I regret if I couldn’t be here often and comment at your blogs for sometime. Change is inevitable sometime but somehow I am enjoying the moment spent with my cousins, whom expecting me the same. They have arrived home yesterday on the summer vacation and I will try to be active here and there as much possible. take care. After so long, more than two and a half years, just sharing through blogs and cell phone, there was an intense how long could I make her wait for me to visit? Each time we call either, there was a silent understanding between us more than words. Living near within a city, the opportunity came only lately and I happen to think it’s not the time and distance but the desire that brought closer. If I haven’t moved, the distance would be stayed far away, but now I loved the movement which gave more happiness to me and her. On the line there are some more willing to have me around and I hope the movement is not far away. Sometimes I want to hate for being ignore myself, to not think about the awareness I gonna create by moving around as much possible and surprise my dears at behalf. Sunday seems to be an exciting day except from my usual being and what special about the last one was meeting my dear mother Kalavathi. 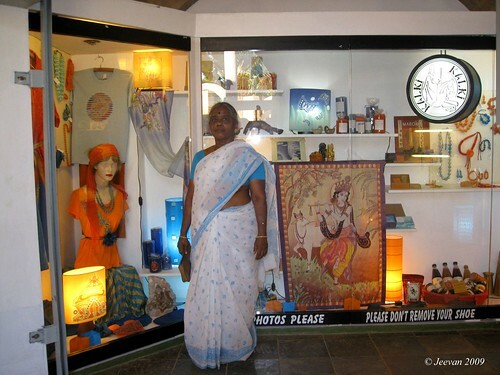 Not many know her here by name, because she exists behind her son Karthik’s blog. She is a mother who lives in her son’s memories and no where we could find solace to her soul, which makes her suffer every minute and even beyond that I could see her courage to live and to give others. The noon was gloomy and roads that less crowed of vehicles made easier the move; and as we get in her home, she was little busy at preparing lunch and as soon she saw us, she was so happy to greet us all with warmth and smile, which made me so please like ever. It was the first time I am meeting someone from blog at there home, whom was both a friend and mother. More than I know her and karthik through blog, our communication through cell phone make aware each other well and understood. After a small converse we head to have lunch and could not believe how many a women can prepare all alone, bearing stress and strain. Wherever we go, we can’t have these kinds of food, served with more love and affection, to make one feel doesn’t want to leave and stop eating. hehe… I don’t know how she knows I like biryani and it was so delicious with chicken gravy and quail fry. Every minute she conveys me to feel like being at my home and not to be restrained. I really wonder at her attitude and the interesting person lies in her; and how fun loving women then, when everything turns down today in lose of her own world - son. I haven’t talked much and she kept asking me to talk something, but I don’t know what to talk before listened a lot, and throughout her life, at every instant she remembers her son, which makes her humble in voice and her eyes was something couldn’t hide the sorrow. I am sorry mom. She told her younger son was early waited to meet me, but some work made him unavailable at present and it was so nice to know he helped her in many ways special because I am coming. And I am thanking him so much, to meet sometime soon. Kalavathi amma was a retired school teacher from government school, and she no more worries about working in a school with high rank to work as a lecturer in top universities, but she pulled down herself to spend with her lovely son. The moment seems ever ending, but the time forced us to move and I hope alike me this opportunity makes both of us to come closer to share our knowledge, memories and sense. I hope one day we work together on our wish and interest. I am so glad to meet you here, and I assure am here to listen to you always and like to continue with u in this journey of suffer and happiness in life. On a bit converse with my therapist today, he asks me about Ayan which I watched lately. I told it’s a movie one can watch! But he then asked ‘what is ayan’? I blink a minute to say it could be the English word Iron (thinking in mind is it possible an English title for a Tamil movie, after they came to a term not to use English title, but to hand it below as subtitle). He just teased me without knowing the meaning of the title, what have u been watching? And I couldn’t replay what connects the title and picture! If u guys know let me know? I haven’t likely expected to watch ayan, but opportunity came to watch this usual kind of hero based subject, but unusual plot of action and interesting twist of smuggling. The movie starts with a familiar series of making pirate VCDs and the hide and seek played behind the issue currently. I could tell the director took the subject which we come across at everyday newspaper, but unknowing what is happening behind the matter of smuggling. Surya was so energetic throughout the movie and he done wonderful job at action scenes. The Chitti babu character played by ‘kadvul pathi mirigam pathi’ Jagan, is so peppy with his funny and humors way of delivering dialogues and even at series moments he can’t make emotion; and surya with his aspects and body language continues indifferent from Vaaranam Aayiram and he couldn’t cry properly anymore. There are people make films at charming foreign cities and countries, but never seen gone to trouble some African countries and roll around the strange slum dwellers. One thing I want to praise about the movie was the visual. Director K.V. Anand has maintained an awesome at the car chasing in Malaysia – something remind me Hollywood terminator, the sequence of chasing and the breath taking valley, and the stunning red-golden desert of Namibia. The movie has light sentiment scenes and what evident is everything seems virtual and boring. Something not reasonable is flying just in second to Africa and Malaysia, the cool customs enquire and officer, the songs that unfit to the situation and love scens that are heck except thamana’s pretty feature. Surya was famed lately with increasde fans which were live at moment watching the movie, from the whistle sound as soon film begins and at opening song. He was so delightful in movements to the enchanting beats, but the lyrics of song pala pala... are no more understanable. The song Nenje Nenje... is picturized so beautiful at the Namibia desert, as the lyrics and music are soothing. The song honey honey... and yet continued scenes are just burden and annoy to the length of the movie. The director took some intelligent method to smuggle the diamonds and drug; and the logical flash back moments which exist after every attempt and recovery is wonderful. It is a movie that very well exhibits for a commercial purpose and we can’t expect a unique act, but I feel this movie is better compare to other mass pictures. 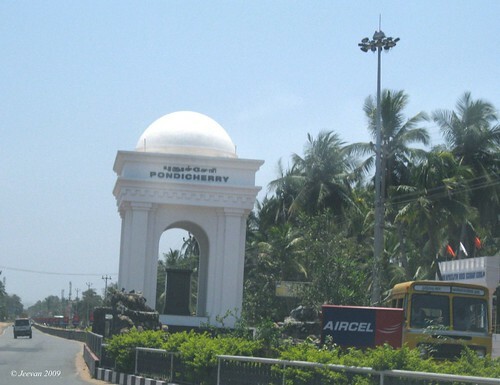 Our uncle (dad’s friend) decide to go to Pondicheery with my dad, as he mostly don’t get out alone and dad got the idea to have a family trip with him on a holiday that came along weekend last month. But he can’t come that day for some reason; and we likely continued the trip with grandparents, aunt and cousins. It was something inappropriate time we began our journey during a sunny day on the breezy ECR. It wasn’t the kind of travel I probably expect and experience in late, just moving within enclosed vehicle where the air condition was on to disturb the cause of my traveling, when lies the outer space with cool breeze. But I was shut to raise my voice as if the control was to content someone. For me traveling means sense the atmosphere and not alone just viewing through glass panel. For me traveling is one favorable thing in the world, where my world almost exists at home, except the virtual reality here. Traveling gets me a feel of boundless, for a person who believes world exists outside home and life begins outside windows. Google maps helped me to know the easier way to find places I interest and there wasn’t much difference all along this travel, compare to my last one less than 9-years before. 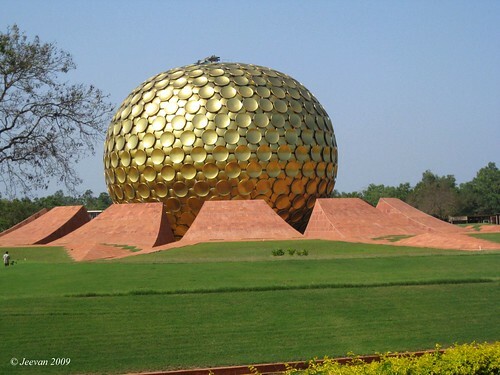 Our first destination was Auroville near Pondicherry, a 9km from ECR at right turn from Kuilapalayam village, one either easy way to reach without entering Pondicherry, while coming from Chennai on ECR. So many shops and building turn the way in add to brief space to tar roads replacing mud, except the road lead to auroville. 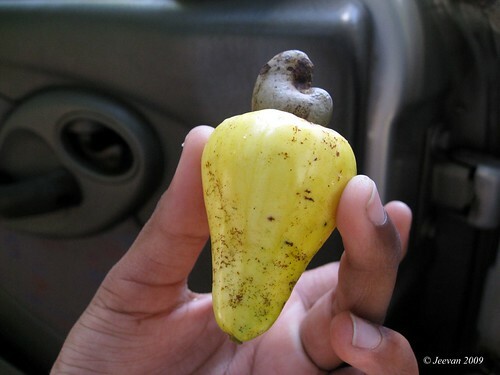 I wish to arrive by evening, but eventually it happed to be afternoon, after over to lunch inside cashew grove. 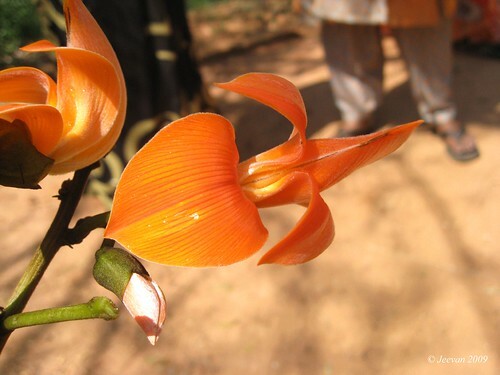 I make sure advice everyone not to make the place unclean, as usual I do care the environment is constant and in my view auroville is one simplest heaven on earth surrounded by nature. Somehow I wonder at the two wheelers, the aurovilleans use to transport. Those are few out of fashion and sale, like TVS 50, champ, Yamaha explorer, Max100… and they cross like sudden flash and for our ladies to look after women rides bike! 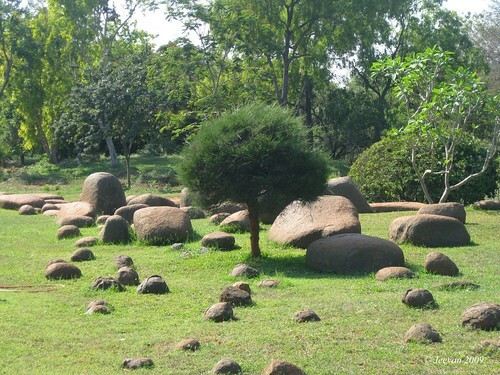 Vehicles are parked about a km before the heart of auroville- Matrimandir, peace globe. The organization let people to cover this distance by walking or by battery autos to help who can’t walk more, but I deny the offer, as I have my power wheels and the auto seems inconvenient. Is there anything more than exploring ourselves and to spare time besides walking with dear ones? They exhibit things and pictures of how the city develops and significance of the peace globe, and one shouldn’t or couldn’t miss is the slide show before u put further steps. There are much restrictions and distinguish from then visiting this place, were we allowed to get inside Matrimandir by maintain silent to see the crystal-glass sphere, glow with sun rays that directed to fall on the sphere and after sunset, solar energy to give light to the crystal glass globe. It’s a curve ramp that’s takes one to the top. Matrimandir is parted with12 petals, divided by 12 gardens and 12 meditation rooms inside and beneath the golden globe, which signifies to each colors dedicated to our part of life to concentrate on silence and soul. The visitors are allowed up to a stretch to see the Peace globe that glow to sunshine at late afternoon. The garden was well maintained with greensward, and those want to visit the inner chamber of the globe needs permission in advance to enjoy the silence. I felt the distance let to covers is to make realize how significant the place was, but many couldn’t understand the necessary to keep silence. 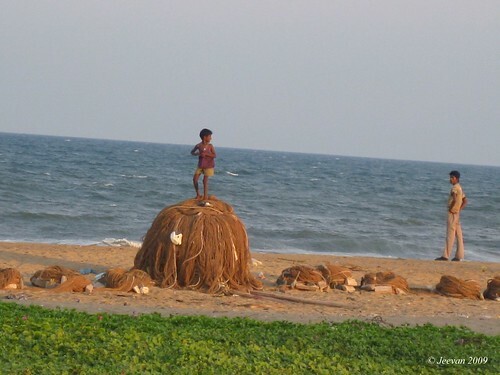 The boy(in the picture) was spending sometime with her sis at seashore on Sunday, standing tall at all, on this lump of fishing nets, while the elder sun fading away its light to leave last rays on this boy. He must be someone from the nearest fishing hamlet. He was saying something to her sis, to drive her away and he jumped and followed her behind. With no intent, I kept him at the place of a future fisherman. Later I think why I thought him like to be a fisherman than being a literate at a position of engineer, scientist or doctorate. I felt nothing wrong to think like that that fishing isn’t harsh, and where it’s a practice of immense past. Likely taking fishing on basis of traditional, the education what choose is one no need to disturb there future carried on fishing, even they are literate. It was a long time though in me, why should one should take there career only based to there literate and what they chose to learn; and if it continues who will bear the traditional occupations like agriculture including fishing following from earlier. As if education is a basement of life to construct on it to whatever seems strong. Then why shouldn’t we use our knowledge learned thought education and hard work to improve and maintain the traditional course that brought our lives today and gonna be tomorrow. Education is a largest tool to sharpen our thoughts and knowledge, as if we know, why every tool should lead to mechanism and not to carve the art of tradition? While this was going on me, I think about students who could not understand and develop an interest on the lessons properly and left at margin as sluggish sometime, the education and certificate obstacle to showcase there talent fully. Comparison is something always with teachers and parents, showing the other children to be shine and to the one to seem to be dull. There is a mockery develop at sustain to keep them disturb and there was a feel people could not see the other side of there ability except educate though text books. I am someone low average at exams and failed at some attempts, and when I think now, I could sense nothing have understood then except the practical lessons and what have I read aloud however not stance into mind. Thanks to Aamir Khan’s TZP, it somehow helps the world to understand and eye open that all children are not same and every child is special with ability to understand lessons on different method. Back to fishermen, it’s not worse a thing call fishing or hunting some lives, to survive and to serve people like me whose favorite dishes are fish. These days fishing seems reduced to certain limit and least amount of boats and people are involve in fishing, there was a reduction in fishes and rise in price. And don’t know how many next generation people are going to make career the fishing than just leave it as a pass time. Education is must as well there is nothing wrong in keep tackling the tradition. May I right or wrong, but I expressed what’s on my mind. 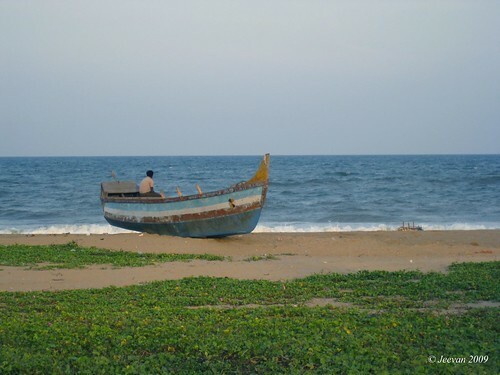 This guy in the picture was sitting sometime on this lonely boat late evening at Palavakkam beach, facing sea front. None could guess what he might think about, but we could think about from his view point? ‘U guys too try to know your point of view’. I felt how well these waves could rise ashore to grab the boat into sea unsteadily, to see myself into the sea by floating to fulfill my dream. Wonder how sea is bound enough with an illusion line that separates the sea and sky for our views, even we know its vast, could not be measured and never the cause it meets. The adorable full moon nights, where the moon lit fall on surface of the sea. The shadows of angels kiss by the moon lit light, where the solitary boat fascinates the shore as well distinguish the motion of silent waves. A shoulder of her/him to bear my/there hands, to site beside to share the moment of joy and misery. The friendship/love embrace like the waves touch and kiss the sand at constant irregularly. I am uncertain with this boat standing all the days and nights, under rain and sunshine to fade its true color. By zoom I find the boat with two names, read Nicholas and K Suramean (shark) – I guess these name belong to the owners of the boat and the word Nicholas remind me the Santa clause and actor Nicholas Cage! I think why not I take this boat into sea to catch some fishes for myself to have? - Unlike a boat that arrived late evening by stretching its blue fence into wind, looking forward the crowd gather on sea front and to fishermen to see those fishes sold at sustain price. To take away home the pride and certain smile. At rear the waves are so rough to touch the boat and drench legs those standing. 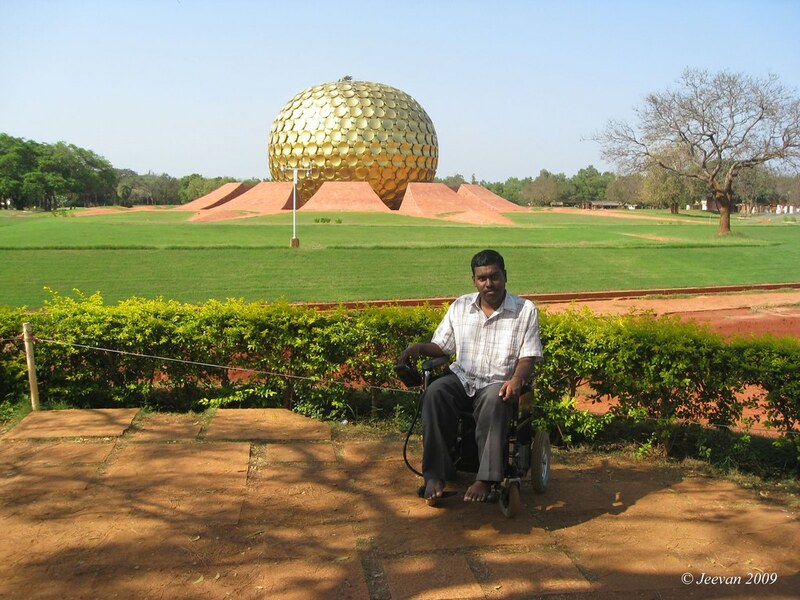 Matrimandir, a peace globe in Auroville near Pondicheery. We are just born to live and we bear nothing to go. In between we claim something that belongs to us, which is not. We’re just traders and not proprietors to this world, so what does we fought and pain carried on each other days? The one we own is only our life. That too lives up to we live. And what are we chasing behind in money, rank, religion or laird may remains, but do we are are impossible. Today we make for us or to our children’s future, but how far things stable is uncertain and inevitable. There nothing belongs to anybody and it’s the trust that we had on earth is human being. The one authority that controls the self is conscience. When we have everything in, what are we searching for things physically and something in name alone? What we believe in world is truth, and if not the human being, I could not see anything more than the conscious. The other days I dream this world a place gives importance to human and not where he belongs and what he believes or his position; a world that prevails in true to self and conscious. People care for each other in concord of being human and support in term of stress and misery, share whatever the joy, where young ones are learned about human value and to think beyond there family and friends. Everyone gets equal opportunity to chose there carrier in education and employment, not alone depend on marks, but also encouraged by talents and interest, sweeping away the mockery and reservation based on religion. Where the ego, destroys the separation and makes equation between poverty and rich, of high and low status people. The authority that truly depends on conscious and truth, more than enjoying the power, uses the opportunity to work on there responsibility and make things easier to share. The belief that kept individual and the self that does not disturb the consciousness of others. A unity among people with varies self and belief, in basis on human; and wealth that does not decide the relation, the competition that only based on opportunity and merit, not to displace the relationship. Something that interest me to think about unity and consciousness, something that matched my dream and to know there was an ideal world exist within nature and the essence to live among human being. 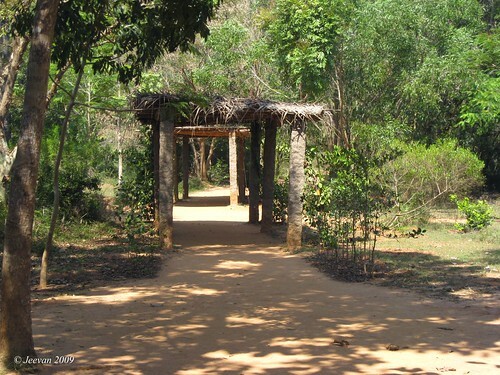 Auroville is one place I heard and felt unity among humans and a piece of land that signifies a Peace of land. I was too surprise with peoples approach with good will and works done with no distinguish in gender. After visiting and learn about this place, these days I wish I live in such environment and practice the consciousness to live and let live in peace. In darkness, something exists and exits. 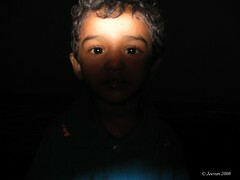 I wrote this in inspire of Earth Hour post across blog world.